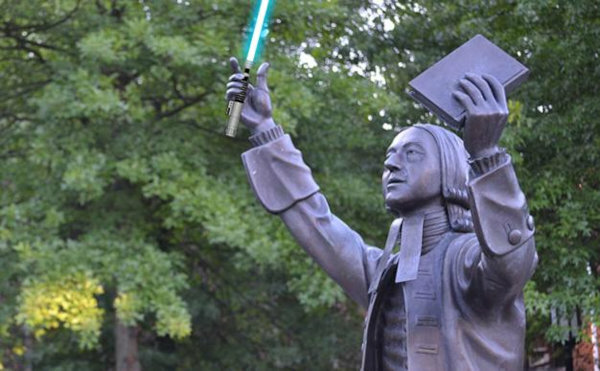 John Wesley and the Jedi have some personal habits and values in common. The more I read and learn about John Wesley’s convictions, hard work, and austere lifestyle, the more I believe Methodism’s founder could have made an excellent Jedi. Of course, the Star Wars stories are complete fiction, set “a long time ago in a galaxy, far, far away.” Still, these films contain motifs that resonate with contemporary audiences, such as the Christian themes of self-sacrifice, faith in the face of persecution, rebirth, and hope for future generations. In diving deeper and reflecting on the Jedi characters, I see parallels with John Wesley’s life and ministry.